At Edible Arrangements, our signature fruit creations are always fresh and always special. 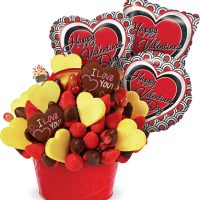 Plus, these spectacular fresh fruit arrangements are always made-to-order. 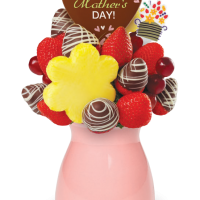 You can order ahead or stop by any time for an arrangement on-the-go! Pick up a tasty last-minute gift or make an impression with a unique party favor. 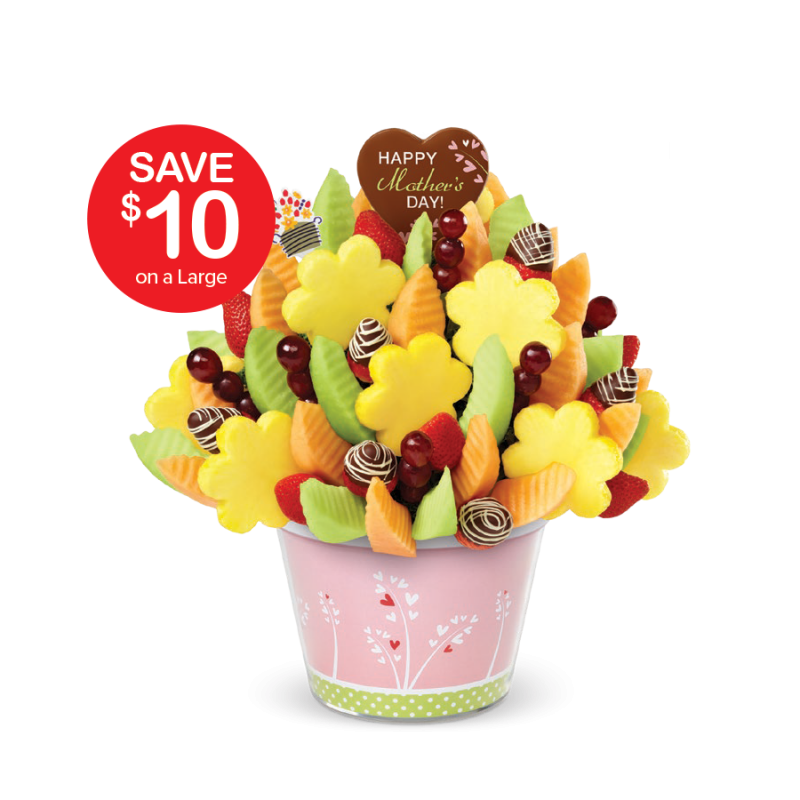 Stop in to any of our locations and for a delicious fresh fruit arrangement — to go! Our Fruit Experts™ will be happy to help you. 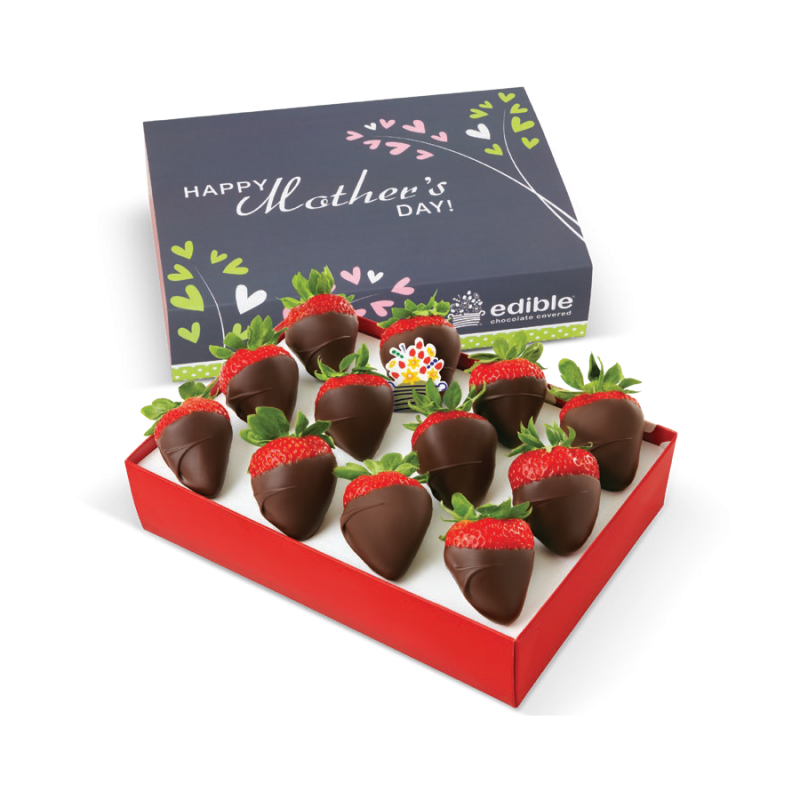 Chocolate Dipped Fruit When it comes to dipped fruit, we’ve got you (chocolate) covered. 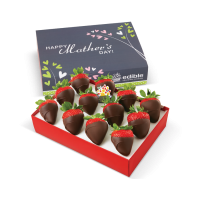 In fact, we’ve got The Best Dipped Fruit, Period.® Our freshly cut fruit is always hand-dipped in gourmet chocolate by one of our Fruit Experts™, so grab a few pieces on-the-go or give that special someone a memorable gift with a box of 6 or 12 pieces in any of our mouthwatering varieties. Stores are open 7 days a week so stop by today! Need a quick breakfast or mid-day snack? Create your own fresh fruit salad or grab a parfait with layers of fresh fruit, low-fat yogurt and granola. In the mood for something sweet? Top off that fresh fruit salad with hot fudge, whipped cream and nuts to make it a FruSundae™ or go bananas with a Banana Cream Pie Frusundae™ with sliced bananas, white chocolate sauce and whipped cream with shaved coconut. The Edible Arrangements® Wedding Collection of custom fruit bouquets are the perfect marriage of taste and style. Whether you’re looking for centerpieces for wedding tables, wedding favor ideas, or even a sweet alternative to a traditional wedding cake, our Wedding Arrangements are the freshest way to say “I Do.” Plus, our in-store Fruit Experts bring their think big ideas, event-planning perspective and nuptial know-how to the wedding table. We’ll help you turn your Dream Wedding into a reality with our wedding centerpiece ideas, unique wedding favors, beautiful (and delicious) wedding decorations and more. 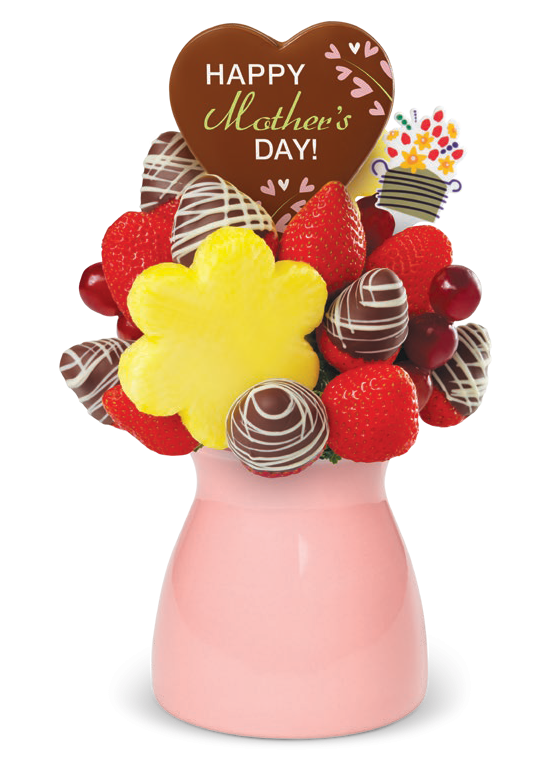 Our sweet, handmade table centerpieces are designed to be as beautiful as flowers in bloom, and as tasty as a decadent dessert. And at Edible Arrangements®, happiness is always in season –so our fresh fruit bouquets are sure to add a special touch to your wedding celebration any time of year! 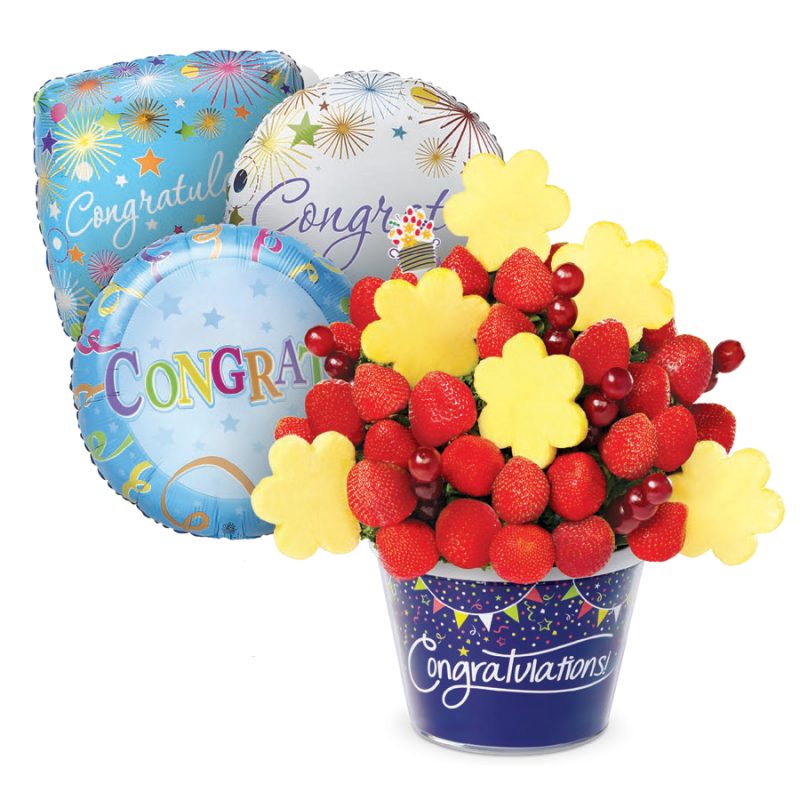 Consult with your Edible Arrangements® Fruit Expert to select the perfect fruit arrangement for your Wedding Centerpieces. 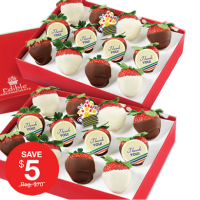 For your Bridal Shower, Rehearsal Dinner, Wedding Reception and more, we’ve got you (chocolate) covered. 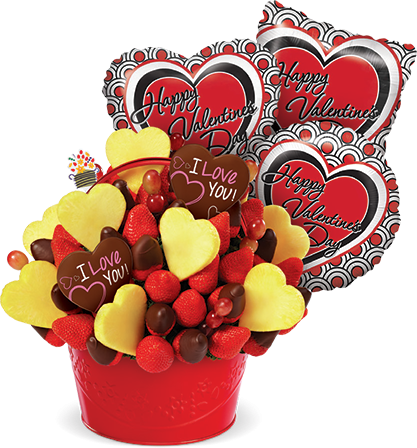 Even Bachelor Parties and Bachelorette Parties get a little sweeter with our gourmet chocolate dipped strawberries, chocolate dipped bananas, chocolate Fruit Truffles, and other chocolate dipped fruit varieties! 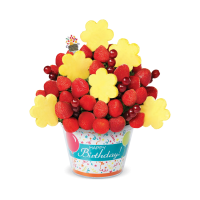 When it comes to creating a wedding celebration that’s memorable and unique, Edible Arrangements® take the cake.